Metal carports are becoming the most affordable solution for getting your car, truck, or other vehicle out of the harsh elements including rain, sleet, and snow. Our metal carports also do an excellent job of keeping the harmful sun rays off of your investment to prevent paint from chipping, cracking, and fading. All carports for sale are backed by a 20 year warranty and come with free carport installation and delivery on your level site! If you decide you would rather have a fully enclosed carport, take a look at some of our metal garages for sale. At Metal Carports Online, we offer the largest selection of steel carports in the industry paired with unmatched carport quality and warranties. Our car ports come in three different styles to give our customers more options when choosing a canopy that fits their budget along their structural needs. Regular style carports are the most inexpensive of the three styles as well as the simplest design. These are a great way to gain the coverage you need while maintaining affordability. The boxed eave carports are designed to remain affordable while providing more of an aesthetically pleasing look for more curb appeal. This carport style is perfect if you’re looking to add coverage for your investments as well as add value to your home. Vertical roof carports are the top of the line steel carports in the industry with more structural integrity than any of the other roof designs. Commonly referred to as steel carports, car ports, and car canopies, all of our metal carport prices come standard in 14 gauge steel framing with an upgraded 12 gauge frame option available. For the paneling. 29 gauge galvanized sheeting is used for the roof, sides, and end enclosures. 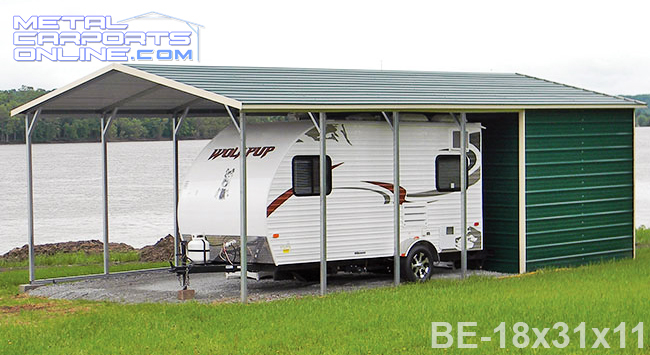 Our metal carports for sale are also offered with 20 year warranties on roofing materials and 30 day workmanship warranty backed by Eagle Carports! 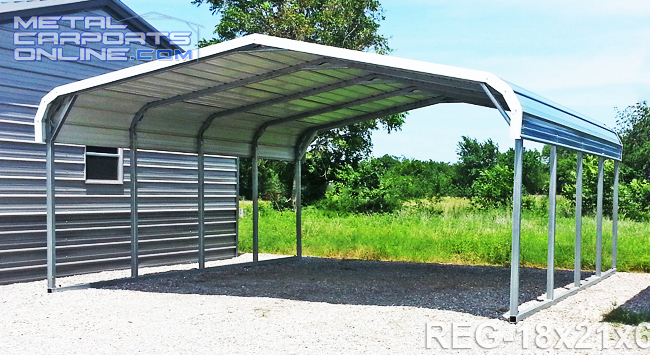 All metal carports are priced delivered and installed free on your level surface. 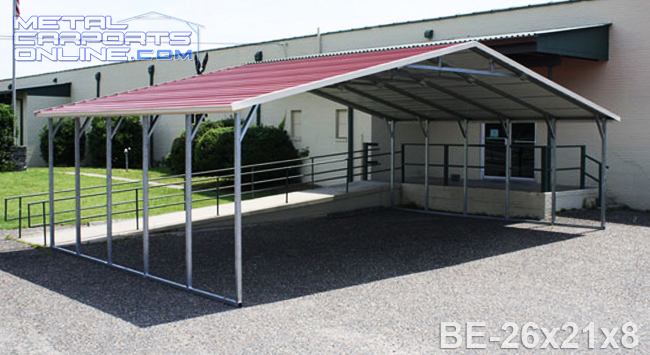 Metal carport packages below can be modified into diy carport kits for a 5% discount. If you can imagine your ideal carport, we can definitely customize it for you from start to finish.